The longbow was used in England and Wales during the during the Middle Ages. The medieval longbow, or English Longbow, as it is traditionally known in military history, was the battlefield weapon of choice for the Medieval English army. Although it is commonly referred to as the English Longbow it was in fact first used by the Welsh. The Welsh made use of the longbow against the English, repelling attempts by the English to attack Wales, prior to the Norman invasion of 1066. The English recognised the Welsh power with the longbow and it was used to such effect that it was then referred to as the English longbow. The wood of the longbow was protected with a rub of "wax, resin, and fine tallow"
The medieval knight had no protection against the arrows of the longbow. The English gained great victories over the French at Crecy, Agincourt and Poitiers. The power of the longbow was so great that at the Battle of Crecy, in 1346, the French army was decimated. It is estimated that nearly 2000 French knights and soldiers were killed by the longbow arrows. The English lost just 50 men! The French Knights were not just mortified by their defeat but also because they had been defeated by common peasants. The English Archery Law of the 13th century ensured that English men would be come experts with the bow and arrow. In 1252 the 'Assize of Arms' ensured that all Englishmen were ordered, by law, that every man between the age of 15 to 60 years old should equip themselves with a bow and arrows. The Plantagenet King Edward III took this further and decreed the Archery Law in 1363 which commanded the obligatory practice of archery on Sundays and holidays! The Archery Law "forbade, on pain of death, all sport that took up time better spent on war training especially archery practise". King Henry I later proclaimed that an archer would be absolved of murder, if he killed a man during archery practise! The victories over the French at Crecy, Agincourt and Poitiers were directly due to the expertise of English archers and the longbow. Skill in the use of the longbow took considerable time. The English invested in the time required - the French did not. 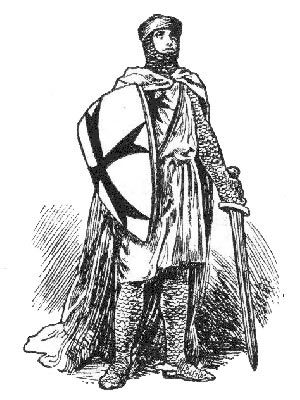 Up to this point the skills and weapons used by a Knight were deemed to be worth 10 ordinary soldiers - hence the French reaction to defeats by the common peasant. Skill in the use of Medieval weapons and understanding the strategy of Medieval Warfare was necessary and a played a vital part in Medieval life. The training required by an Archer to use the Longbow was extremely time consuming - it was necessary for them to become expert marksmen. Special places were assigned for the archery training called the Butts. The cries of " Nock! Mark! Draw!" would have resounded across the English battlefields of the Middle Ages. Each section of Middle Ages Weapons provides interesting facts and information about Medieval warfare in addition to the Longbow. The Sitemap provides full details of all of the information and facts provided about the fascinating subject of the Medieval period of the Middle Ages!